As Lent winds down, I am coming to realize it’s easier to break a habit than make a habit. It seems it was easier for me to quit smoking rather than add to my daily habit repertoire — on the surface. What really has happened is I found a sneaky way to change habits. Quoting smoking (again) was something I didn’t think would stick. I thought I’d fail in days. But here I am, still not smoking since 2/13/18. One week without it and I knew I deserved a reward. 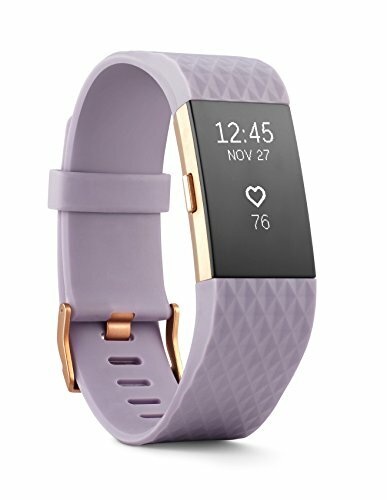 I purchased the lavender band with rose gold FitBit Charge 2, aka The Most Expensive One. I decided this was a good reward that would influence me to become more active, and so replacing my smoking with fitness. The most revealing thing for me about FitBit was my sleeping patterns. This electronic tool has helped me revolutionize my sleeping habits this Lent — it aided a problem I wasn’t even aware of! I was getting around five hours of sleep a night. No wonder I was so tired. Now, I make sleep a priority, watch how this habit is going each morning, take a conscious moment to see how I feel on the amount of sleep I got — and then I move on. I’m conscious of it in the morning so all day I think about how I will spend my evening thinking, “There’s a sleep deficit today, I’m tired, my mood and motivation are blah, so I know I need to turn in early.” It’s become a wonderful way to take care of myself. Then my friend and coworker, Jeffrey, started giving me the business about my FitBit, being the Inspector of Heather’s Steps. He quickly purchased his own so we could compete. This led to us inviting another friend and coworker, Kim, through the FitBit app, to join us in daily challenges. So we often have a three-way challenge going. The trash talking and competition between us is super fun and motivating, even though technically we work in all different locations. Yesterday, I had no problem hitting my current 8,000 step goal! I had three different facilities to work in for my clients! I was walking all over downtown! By early evening, when I hit the radio station to do the news (I’m also a broadcast journalist), I began trying to rack up some extra steps and floors. The station is big so I do laps often, which is entertaining for my coworkers there. I’ve taken a look at the contrasting jobs I have. By day, I get more exercise by walking around downtown Wichita for my work. By night, I am more sedentary, but I make it a challenge to get up on the hour to do a lap or two around the station. Habits take effort to start and stop. What worked for me to quit smoking was to go with the flow instead of against it. If I had to “fight” to quit smoking, I wouldn’t have. I used Lent and my spiritual practices to fuel my quitting — and thank G-d! I am so glad I’ve quit for so many reasons! What was revealed was worth the work — this is something I mention a lot to clients I coach on sobriety. When you quit an addictive substance or behavior, you won’t know where it will lead you. Which makes the fear we feel in stopping a bad habit such a waste of energy.